Use mats to help reduce snow from coming in. The winter season means it’s a lot easier to accidentally slip and fall due to the ice and snow buildup, not only leaving the outside walkways a hazard, but the inside as well. 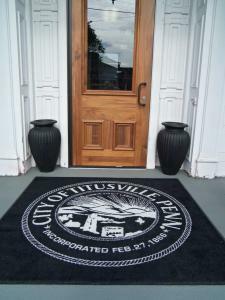 Getting entrance mats can be a great way to help prevent excess moisture from being tracked into your building. According to SFM Mutual Insurance, mats can help prevent excess moisture from being tracked into a workplace entrance. The news provider even suggests having extra entrance mats, particularly on extreme weather days, as the excess moisture can accumulate even more quickly. You can either stack the mats or continually change them throughout the day to ensure they have the chance to dry properly. There are also steps you can take for eliminating the risk from the outside. According to EHS Today, use equipment to remove the snow from parking lots and walkways as quickly as possible. If you can hire a professional crew to remove the snow throughout the day, this will reduce the chances of snow building up over time. Additionally, make sure you use de-icer to help melt the snow and ice from walkways. Even if you decide to close your business during a storm, you should be working to remove the snow and ice as quickly as possible.